ProjectName ProjectName=cartbox STRING OBLIGATORY Part of the output files' name which will be generated during the execution. These Files can be found in the directory of the executed parameter.ini file. A description of all parameters of the parameterfile can be found in List of Parameters. ParaView is susceptible for defective output visualizations in cases of using high order meshes or increasing the polynomial degree of supersampling. For this reason, it is recommended to edit several settings to get a correct high resolution visualization. At first the way of projection should be changed. 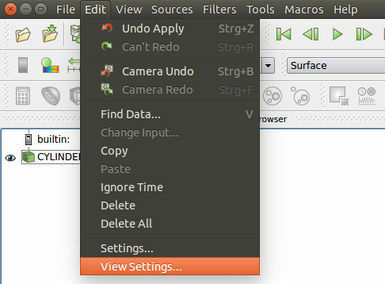 Therefore, go to Edit > View Settings ... (Picture 1) and activate use parallel projection (Picture 2). If the polynomial degree of supersampling is higher than 1 the mesh elements will be subdivided depending of the polynomial degree. As a result, it is not apparent anymore where the elements begin and where they end. Because of that two filters have to be applied which make the actual elements visible again in high resolution. For simplifing and accelerating this visualization prozess of the HOPR output a custom filter named HO-visualization is provided. 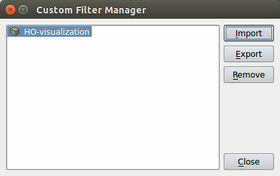 This custom filter converts the steps of filter selection to a single step prozedure. 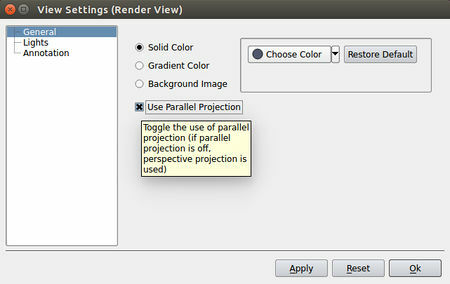 After the custom filter was created it has to be imported into ParaView. 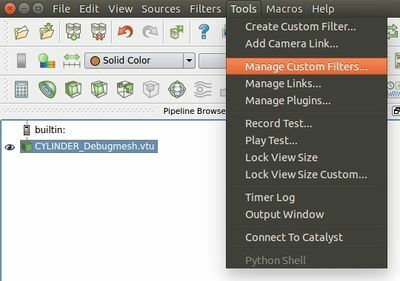 Therefore, go to Tools > Manage Custom Filters ... (Picture 6), click on Import and add the custom filter HO-visualization (Picture 7). and can be selected (Picture 9). This page was last modified on 30 November 2014, at 05:41.